A few weeks ago, I published a post on old and odd Sacramento laws that, decades later, are still technically on the books. One of the most surprising was a 1949 ban — never repealed — on selling crime-fighting comic books to minors. Well, last Tuesday Councilmember Hansen asked the Law and Legislation Committee to review this provision of the Municipal Code for potential clean-up, which bodes well for young comic book lovers across our city. The story was picked up in a great little piece by CBS 13 News, and features your own humble editor — check it out here! In ancient Rome, it was illegal to wear purple. Needless to say, that would not be a popular law in Sacramento Kings country. Times change, people change, and we expect the law to keep up. And it usually does, except when it doesn’t. When you’re a city that’s more than a century old like Sacramento, a few oddities are bound to be lingering through inattention in the mustier pages of the city code. Pictured: Not a violation of SMC 9.12.010 … yet. Kerpow! Bang! Zing! Many young boys and girls love reading superhero comics. Judging by box office receipts, the exploits of Marvel and DC’s caped crusaders are fairly mainstream American entertainment these days. I mean, who doesn’t like catching up on the latest of Spider-Man’s amazing adventures, or Wonder Woman’s derring-do, or Black Panther’s virtuous acrobatics? Well… the City of Sacramento, apparently. Interestingly, Sacramento was ahead of the curve on this moral panic: by the 1950s, concerns that comics were corrupting the youth would lead to bans across the country and ultimately prompted the industry to self-regulate by adopting the Orwellian Comics Code, which censored the storytelling of the next several generations of comic writers and illustrators. So, next time you’re stopping by Oblivion Coffee & Comics or Big Brother Comics, just know that you have entered a wretched hive of scum and villainy that should probably have bouncers at the entrance. Pictured: Gaston, upon reading SMC 9.04.040, probably. Speaking of cartoons. Those of us who grew up in the 1990s, or raised children growing up in the 1990s, will remember Gaston, the cleft-chin villain of Disney’s Beauty and the Beast who is 90% pectoral muscles. Gaston: That’s right! And ev’ry last inch of me’s covered with hair! Now, you may be thinking, expecto-what? Expectorating is a fancy way of saying “to spit.” And it’s illegal. So illegal. That’s right. While Gaston’s ability to launch his saliva to great distances earned him the admiration of his peers in his “poor provincial town,” in Sacramento it would earn him a citation. Spitting is of course unsightly, and might even be considered rude, but it seems pretty Victorian to prohibit what comes naturally to baseball players and 15 year-old boys. Obviously, Sacramento would not actually enforce this law. Except that the City does! To my great surprise, from 2014 to 2016, the city issued five citations for expectorating. So, mind your Ps and Qs out there, and tell Gaston he’s probably better off staying in France. Pictured: Pure, Unregulated Chaos without SMC 5.48.010. You may be thinking at this point that old-timey Sacramento, when most of these laws were passed, did not want people to have any fun. You are correct. Okay, okay, so Sacramento isn’t quite the town that banned dancing in Footloose, but we do require a lot of special licensing for recreational activities that don’t seem to pose any special health or safety risk. For example, does your business have a coin-operated pool table? That’s a ($700!) license (SMC 5.20.010). How about four or more arcade video games? You better believe that’s a license (SMC 5.12.010). Some of these decades-old licensing statutes are delightfully hyper-specific. For example, did you know that it is illegal in Sacramento, per SMC 5.16.010, to practice, without a license, “the business or art of astrology, palmistry, phrenology, fortune-telling, cartomancy, clairvoyance, clairaudience, crystal gazing, mediumship, prophecy, augury, seership, or necromancy”? So remember kids, when you want to pay someone to help you talk to the dead, make sure you insist upon a city-licensed necromancer. Because quality matters. But my favorite license required by the City of Sacramento is for the privilege of operating a skee ball machine (and other “mechanical amusement devices”). Skee ball is the popular arcade game where you roll balls along a curved ramp and try and get them to land in rings assigned with different point values. You know the one. To review: one-ball skee ball? Illegal. Charging 50 cents for skee ball? Still illegal. Giving kids tickets for scoring 200+ points that they can turn in for erasers? Oh, most definitely illegal. The Chuck E. Cheese animatronic rat is probably sweating right about now. So, what to take away from all this? Well, first and foremost, don’t open that Old Sac Comics & Skee-Ball Fancy Arcade you’ve been dreaming of, the one with the period-appropriate sidewalk spittoons. Just a bad idea. But, third, we should all begin to think of policy obsolescence as a natural process and consider how to manage it. Sacramento is not unique in having some dated laws in its code. It could have been far worse. Just a few years ago, progressive-minded Oakland discovered that it still had a 131-year ban on cross-dressing on the city books. The truth is that any city that’s more than a generation old is at risk of finding archaic, unhelpful, and/or deeply embarrassing laws in place. But even older laws that are not obviously out of step with the times deserve periodic revisiting, if only to ensure they are working. One way to do this is to build studies and sunset dates into newly-enacted laws. This builds in a period of calm reflection, after whatever excitement caused the law to be enacted has passed. But, this approach is probably too administratively burdensome to put in place for every law; moreover, policy obsolescence often takes a generation or more, generally beyond any reasonable sunset date. A more promising approach might be to mimic the state. California has a permanent Law Revision Commission whose mission is to review state statutes “for the purpose of discovering defects and anachronisms in the law and recommending needed reforms” to the Legislature. A local commission could take a deep dive into the SMC without the City Council itself having to devote inordinate time to the task. The city code is also much shorter than the state’s statute books, so a local commission might meet for just one out of every ten years. Some other California cities, like Roseville, have similar decennial commissions to study and suggest clean-ups to their city charter. And just think, if we did set up a commission, it is entirely conceivable that kids could buy comic books in Sacramento by 2030! Sacramento is one of the most walkable cities in California. In 2014, house selling and buying website Redfin named Sacramento one of the 12 cities where you can affordably live in a walkable community. Moreover, Sacramento has a strong commitment to walkability and adopted a Pedestrian Master Plan over a decade ago. Why Take an Urban Hike? Walking under Sacramento’s tree canopies also has health benefits. According to the Sacramento Tree Foundation, there are health benefits to urban forests, such as “lower crime rates, reduced stress, and increased social cohesion”. A recent study using data from the California Health Interest Survey concluded that people are healthier, primarily due to weight loss/obesity reduction and improved social cohesion, when living in neighborhoods with more tree cover. In addition to the health benefits, taking an urban hike is one of the best ways to get to know your Sacramento neighborhoods! (And yes, there’s much more to see than just Downtown Sacramento…) Our neighborhoods are wonderful communities, each with their own charms. Capitol Park, Old Sacramento, and Land Park are Capital City must-sees, but, chances are, you already take your visiting family and friends to these classic Sacramento sites. Below, I include suggestions for urban hikes that take you further into Sacramento’s neighborhoods and communities. The charming and vast McKinley Park sits just on the “other side” of the freeway from Midtown Sacramento. With its beautiful and newly renovated Rose Garden, large family and friends picnic sites, kids’ playground, open fields, tennis courts, and ~1 mile walking/running track, this is a great place to be physically active and simply spend an afternoon outside. While you’re there, you can feed the ducks and geese, visit the on-site library branch, or take a dip in the neighborhood pool. If you get thirsty, head over to Tiferet Coffee House at H and Alhambra Streets. After you’ve had your fill of McKinley Park, take a walk through the lovely East Sacramento neighborhoods with their early 1900s craftsman and brick houses. Walk up J Street for a beer at Bonn Lair, Czech food at La Trattoria Bohemia, tacos at Cielito Linda or Midtown Taqueria, or an amazing meal at Formoli’s. Spend a whole day (maybe a weekend!) walking, eating, and drinking your way down Broadway. West of Highway 99, catch a movie and some dessert at Tower Theatre and Café; take your pick of tasty Thai food at Taste of Thai and Chada Thai; enjoy a beer at New Helvetia Brewing; and, sample one of Sacramento’s classic neighborhood ice cream parlors at Gunther’s. East of Highway 99, experience Oak Park’s thriving restaurant and business scene, which certainly reminds me of Portland’s Hawthorne and Alberta Districts. Pick up some coffee and refreshments at Old Soul, enjoy Mexican food at La Venadita, and take a break from your boutique shopping for a beer at Oak Park Brewery. Tree canopies and Victorian homes meet teeming urban food and shops in Midtown Sacramento. Sacramentans are well aware of J Street staples such as Tres Hermanas, Harlow’s, Centro, and Rick’s Dessert Diner and the Handle District’s (18th/19th and L Streets) incredible eats and drinks, including Mulvaney’s, Water Boy, Aioli’s, The Press Bistro, Zocalo, Devine (gelato! ), the Rind, Paesano’s, Old Soul, Rubicon, Broderick’s, and many more. However, the up and coming area of Midtown is further down the alphabet: R Street, extending into Downtown. Start at Fish Face at R and 11th streets in the Artists’ Lofts for delicious poke and fresh sushi handrolls, wander the shops and gallery near Fox and Goose across the street, take yourself into the Shady Lady for an afternoon cocktail at R and 14th, and wander over to woodsy Fremont Park, the square block in the center of an increasingly bustling corner of midtown at 15th and Q streets. Check the calendar to make sure that you catch one of the great outdoor community events at the Park (such as Chalk It Up) while you’re on your stroll. Enjoy dinner at Hot Italian, Magpie, or Orchid Thai and get after dinner coffee at either Insight or Naked Lounge. Take your favorite pet, your swimsuit, bocce ball set, and your walking shoes up to Sutter’s Landing (28th and C streets). Walk/bike/drive up across the levee on 28th street across the train tracks and suddenly find yourself in the middle of open land with river access. There’s a great dog park with stunning views of the Sacramento skyline (particularly at sunset); bocce ball courts; a skate park; and, a trail that takes you right up to the shores of the river (within 100 yards of the parking lot!). Grab your camera to take breathtaking river and railroad bridge shots as you walk along the river’s shores. It’s perfect for a quick dip to cool off during Sacramento’s scorching summers too. So, what are your favorite urban hikes in Sacramento? Please let me know in the comments below! Sacramento, I love you. But it’s time we had a frank discussion about our flag. Sacramento’s flag reminds me of that type of inoffensive abstract art that is the go-to for corporate hallways. There is a lot to dislike here, from the lack of symmetry, the odd blobs in the corners, the unappealing color palette (and two different shades of blues? ), to the Rorschach test of what’s being depicted. And it’s not just me who hates our flag. The world does. In 2004, the North American Vexillological Association conducted an internet beauty pageant asking the public to grade the municipal flags of America’s 150 biggest cities. Sacramento’s scored a 4.97 out of 10. 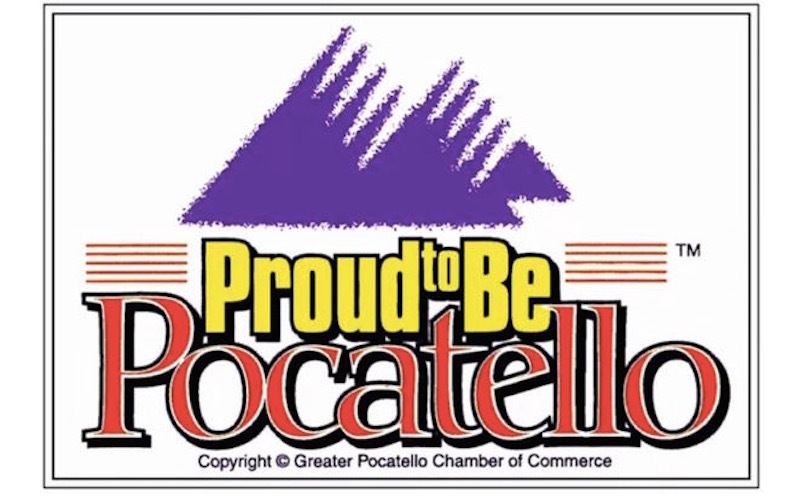 Not the worst of the bunch – get it together, Pocatello – but it’s still a failing grade. Which is too bad, because a city’s flag can be a source of civic pride. If you go to Oakland, for example, you will see the city’s official logo – an Oak tree – everywhere. 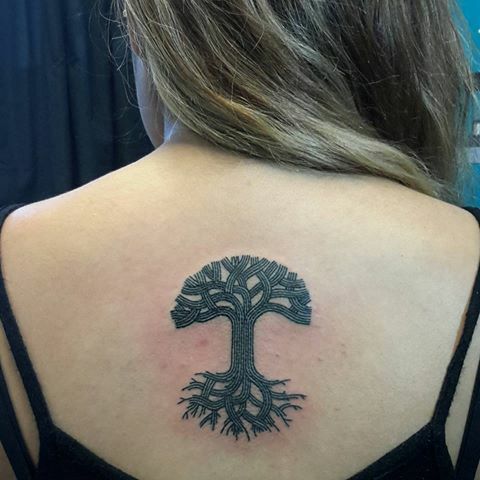 People actually tattoo the city’s tree on their arms. Like the Kings logo does for basketball fans, a city flag can help rally and unite its citizens and become a part of that city’s identity. But for a municipal flag to go from obscurity to mainstream it needs be appealing, instantly recognizable, and easily reproducible. The history of our current flag dates back to 1989. In honor of Sacramento’s 150-year anniversary, the city council appropriated $25,000 for city celebrations, including $5,000 “for the design and fabrication of a new City Flag.” A team of five volunteer artists from the Art Directors and Artists Club of Sacramento set to the task, generating four options for council consideration. After nine months of design, public review, and debate, our city’s new banner was finally unveiled by Mayor Anne Rudin at the Radisson Hotel to top off the Sesquicentennial celebration. …Better than the Old Flag. And what flower adorns the base of the capitol dome? Combatalade’s beloved Camellia – Sacramento’s official flower. Can there be a good flag? Use two to three basic colors. No lettering or seals of any kind. These are simple but memorable designs, using bold colors, that tell a story of what each city is about. The fleurs-de-lis on New Orleans’ flag is a nod to that city’s French heritage; Denver’s flag nestles the city below the Rocky Mountains; Chicago’s blue strips represents the two branches of the Chicago river and each star a major episode in the city’s history; and Phoenix … has a phoenix. The last two flags were adopted to celebrate Sacramento’s 125-year (1964) and 150-year (1989) anniversaries. Unfortunately, Sacramento’s 175-year anniversary (2014) has already passed – but that does not mean we should wait until the 200th to commission a new flag. Sacramento in 2017 is a city undergoing a renaissance. The arts, culinary, and sports scenes are booming; downtown is metamorphosing into a landmark destination; and residents from all corners of the map are excited to live in and claim the city. Even outsiders are recognizing that – gasp! – Sacramento is cool. Let’s seize this electric moment, and give Sacramentans a banner to finally match our pride in our city. Less than 5 percent of Airbnb hosts have registered and are paying taxes, and many are undoubtedly illegal; here’s why. My wife and I could be the postercouple for Airbnb. We mostly use Airbnb when we travel because we prefer a local feel to a hotel. After buying our house, we became hosts ourselves to meet people and help the family pocketbook. Renting a spare bedroom is not the expressway to the Louis Vuitton life, but it does cover a little under half our monthly mortgage and factored into our decision to become homeowners. According to Airbnb’s surveys of its members, we are not atypical. Half of Airbnb hosts say the platform has helped them afford their home; in some cities like Los Angeles, up to one-quarter of hosts say Airbnb saved them from foreclosure or eviction. Airbnb can help hosts make ends meet but, for most hosts, it’s not a full-time job and generates only a few thousand dollars a year: again, according to Airbnb corporate, “the typical US host earns the equivalent of a 14-percent annual raise.” Because Airbnb is cheaper than a typical hotel, it is also a boon to visitors. Cheaper housing means many visitors stay longer and spend more on their Sacramento experience, which benefits the larger economy. In the past few years, Airbnb usage has blossomed in Sacramento. Whereas in 2013 there were fewer than 50 Airbnb units, today there are several hundred. A Brookings Institution study found that the Sacramento metro region experienced one of the largest growths in room-sharing. And, according to a 2015 study by a hotel market analysis firms, Sacramento is one of the top ten U.S. markets for Airbnb revenue as a percent of hotel rooms revenue – meaning Airbnb is providing accommodations for a growing percentage of our city’s short-term visitors. But not everything is unicorns and rainbows in the new home-sharing economy. There are convincing reports coming out of America’s tourist meccas – e.g. New York, San Francisco, and Los Angeles – that some landlords are evicting tenants and converting long-term rental housing into more profitable, short-term Airbnb rentals. In those cities, the net effect is an affordable housing double-whammy: fewer affordable rental units overall and higher rents for everyone else as supply decreases but demand remains the same. More later on how Airbnb impacts the Sacramento market, but suffice to say that the “hotelization” of long-term rental units should be a policy concern in a city that (dubiously) boasts the fastest growing rent market in the nation. For much of 2015 the City of Sacramento wrestled with what to do with Airbnb. Existing Airbnb units were all illegal, city staff concluded, because they were effectively bed and breakfasts operating in residential areas without a conditional use permit. Some members of the public wanted an outright Airbnb ban. It could hurt the rental market and transient guests might make bad neighbors that hurt residential quality of life. On the flip side, Airbnb contributes to the local economy and is an important source of income for many residents. In January 2016, the city council adopted an ordinance that admirably attempted to thread this needle. It legalized Airbnb but subjected homeowners to the same 12% tax imposed on hotels. At the same time, the council capped the maximum number of days an off-site homeowner can rent out their property on Airbnb to deter the conversion of long-term rentals. cannot rent out their house for more than 90 days per year unless they also live there (in which case there is no maximum). To address neighborhood nuisance concerns, the ordinance also provides notice to neighbors who live within 200 feet of an Airbnb unit, prohibits homeowners from hosting weddings and conferences, and creates a process for the city to revoke a permit if the unit becomes a source of noise complaints or otherwise falls out of compliance with the law. So, with 2016 now for the history books, how is the ordinance doing? The answer is… not good. I made a public records request with the city to find out how many Airbnb units had registered in 2016. As of December 31, 2016, about a year since the short-term rental ordinance was enacted by the city council, a grand total of 13 hosts have registered their units with the city. The applications of another 10 hosts were pending, which, assuming they get approved, will raise the total to 23 registered hosts. Any way you slice it, that is a tiny fraction of the total population of Sacramento Airbnb hosts. In November 2015, then-City Manager John Shirey estimated there were 170 Airbnb hosts in Sacramento, which would still mean only about one of every ten hosts has registered. But Shirey’s denominator is almost certainly too low, probably even then and certainly now. If you search the Airbnb website for a room in Sacramento, it reports that there are presently “300+” units. AirDNA, by far the most comprehensive and most cited public resource on Airbnb listings, reports that there were 340 active hosts in Sacramento in the past 30 days. To get the most accurate picture possible, I contacted AirDNA and they agreed to share their historical listings data for Sacramento with me. According to their data, in 2016 there were 496 hosts who, for at least one day in that year, listed 678 properties in Sacramento. That means less than 5 percent of Airbnb hosts registered their units with the city. Yikes. The low number of registered listings is a big problem for just about everyone, except maybe Airbnb. For the city, it means hundreds of thousands of dollars in lost revenue. According to the city, those 23 registered (or registration pending) hosts generated $4,050 in registration fees and $17,500 in taxes for the city. If every host were registered, it would generate at least a few hundred thousand extra dollars in city revenue per year. AirDNA’s upper-end estimate of Airbnb host revenue for 2016 was just under $5 million, so a safe assumption is that the city is losing about $300,000 to $600,000 in taxes per year due to low registration. For registered hosts (we few, we happy few), the low registration rate means our units are either less competitive or less profitable than they would be if compliance was higher. Airbnb’s platform creates a perfectly efficient market for rental units. If I raise my rates to pass along the city’s tax but the rest of the market does not (because they are not paying it! ), the rational renter will skip my listing for a better-priced (and equivalently attractive) alternative. Effectively, to stay competitive and to comply with the law means I need to swallow the tax: consider it a 12% penalty for following the law. Perversely, from a policy standpoint, this means the city is strongly disincentivizing compliance. Illegal hosts are at-risk, too, but they likely don’t know it. As I’ll touch on more below, most hosts are probably unaware they have to register their units – after all, they wouldn’t have to in 99% of cities in the United States. Yet, failing to register can subject them up to a ridiculous 6 month stint in county jail and a $25,000-per-day fine. Overcriminalization, thy name is the Airbnb ordinance. Finally, while not a problem in Sacramento yet, continued lax enforcement of the ordinance could in the long-term displace rental housing. When measuring displacement, the big question is whether an Airbnb listing is a brand new addition to the rental market or whether it is the result of a long-term rental unit being converted to a short-term one. For example, if someone takes an empty spare bedroom and puts it on Airbnb, the long-term rental market is unaffected: no units were added or lost. However, if a landlord takes an apartment building with yearlong residents, evicts them, and converts it to a daily rental property on Airbnb, the number of long-term rentals have shrunk. If supply is significantly reduced, the ripple effect is that everyone’s rents go up. There is no data on how an Airbnb unit was used prior to being listed. However, two factors can be used to estimate the number of “commercial units” commonly thought to contribute to displacement. First, is the Airbnb listing for a private room or shared room (like a living room) inside someone’s home, which are not usually part of the long-term rental market, or is the entire place being rented? Second, is the listing being rented out for more than 6 months out of the year? If the listing is being rented less than 6 months a year, the homeowner would probably make more renting it year-round to a long-term tenant. Assuming an economically rational homeowner, this suggests the listing is not available 365 days a year. For example, the listing may be a second home or even the homeowner’s primary residence which they only put on Airbnb while they are on vacation. An analysis by the statistics blog FiveThirtyEight.com found that, outside your Los Angeleses and San Franciscos, “Airbnb’s impact is probably still small in most cities” because they have a miniscule number of commercial listings. That certainly seems to be the case in Sacramento. According to AirDNA’s data, there were only 39 “entire place” listings that were booked for more than 6 months in Sacramento in 2016. That is equivalent to 0.04% of the 88,353 long-term rental units in Sacramento – not enough to seriously affect the market. But, that does not mean this cannot change. Since 2012, the number of Airbnb units has been doubling each year in Sacramento. Currently half of the active listings are entire place listings. And, according to AirDNA data, 111 entire place listings were rented out for more than 3 months in 2016, potentially in violation of the anti-displacement provisions of the city’s ordinance. So, why are so few people registered? There are a few issues here, but it mainly boils down to the fact that the city is treating Airbnb hosts like they are sophisticated business owners, which they most definitely are not. To legally run an Airbnb, a homeowner must first separately file for two permits: a business license tax application ($50) and a short term rental application permit ($125). Then, the homeowner must calculate a 12% transit occupancy tax (TOT) on all receipts and file a monthly accounting and payment to the city. Most Airbnb hosts probably have no idea how to do this, because they have never done so before and no one has explained it to them. Again, most Airbnb hosts are renting rooms out as a side-gig. They have full-time jobs and have never run a small business. For most, I’d wager, it has never even occurred to them that they need to register their units. As far as I can remember, for example, Airbnbnever emailed me as a host to tell me that, in Sacramento, I needed to register with the city and pay taxes to use their platform. And the city does not make it easy, either. If you search for “Airbnb” in the city’s website search bar, you get four results, none of which indicate that a registration and tax requirement have been adopted. Unless someone already knows the correct terms of art for running an Airbnb (e.g. “business operations tax account,” “short-term vacation rental”) I doubt they would successfully navigate the city’s labyrinthian website to find the webpage explaining the legal requirements. Legally, ignorance of the law is no excuse. But, if we are trying to craft successful public policy, the ordinance needs to account for the background and capacity of the regulated community. It’s time for Sacramento to re-examine its Airbnb ordinance, or at the least the implementation of that ordinance. The current approach is destined for failure, or a draconian city crackdown. Luckily, the city does not need to reinvent the wheel. Drawing inspiration from other cities, here are five changes the city could adopt to fine-tune its ordinance. (1) Require Airbnb collect the hotel tax. The city cannot hope to attain a 100% registration rate if it places the onus of registration on the 500+ mostly mom-and-pop Airbnb hosts. Expecting hundreds of people to register their units and then send in monthly paper reports on their rental activity is not only unrealistic, it’s inefficient. There’s an obvious, better solution. Have Airbnb automatically collect the tax. Airbnb alone knows who all the Airbnb users are in the city. And Airbnb is already collecting a percentage surcharge (its fee) on every listing. Having Airbnb collect the tax would mean 100% coverage, less work for the city, and less work for hosts. And this is not a novel solution. Airbnb already collects and remits local taxes in over a dozen cities and counties just in California. If it can be done for Palm Desert (pop. 50k), it can be done for Sacramento (pop. 480k). (2) Eliminate the permit requirement for people who rent under 90 days. If Airbnb can be made to collect and remit the tax, there is no longer a reason for the city to require hosts to register. It’s a useless bureaucratic exercise that most hosts are bound to mess up, as they currently are. Arguably, it may make sense to require the 45% of hosts who rent more than 3 months a year to register, if only to have them certify that they live in the unit (and thus are not bound by the 90-day rental cap). This is what Philadelphia does, sparing more casual hosts from added paperwork. But, as explained next, if Airbnb can be entrusted with self-policing even this might be unnecessary. (3) Require Airbnb to remove entire place listings that are rented for more than 90 days in a calendar year. Airbnb hosts are required to indicate whether they are listing a private room on the site, or an entire place. By definition, a host is not present when an entire place is listed. Thus, Airbnb already has the data to know which hosts are violating the city’s 90 day cap. Airbnb has boasted that it has removed hundreds of listings in other cities that violate local laws; it should be asked to do the same here. (4) Earmark the Airbnb tax towards making Sacramento more affordable for all residents. The tax on Airbnb units is pure, additional revenue for the city, most of which (9% of that 12%) goes straight into the general fund and can be spent for any purpose. Given fears that Airbnb may contribute to Sacramento’s growing unaffordability, directing those dollars towards mitigating that possibility makes sense. Airbnb tax money will always be just a drop in the bucket compared to the city’s nearly half-billion dollar general fund, but it could give a big boost to the city’s underfunded affordable housing trust fund or to help finance Mayor Steinberg’s goal of 2,000 permanent housing units for the homeless. (5) Decriminalize Airbnb listing errors. Finally, the ordinance needs to be amended to remove the threat of jail time and ludicrous fines on hosts who violate the ordinance. A person who fails to pay a $125 rental unit registration fee should not be sharing a jail cell with someone who physically harmed another human being. America has a massive overcriminalization problem, with over a million people in jail or prison who pose no public safety risk – let’s not add to it. Although it’s probable that few illegal hosts will be heading to the clink anytime soon, allowing the city or prosecutors to use the threat of incarceration to coerce lopsided plea deals is itself an abuse of our judicial system.